Hanging Sale Label PSD Pack - Free Photoshop Brushes at Brusheezy! Getting ready for a huge sale? Get the word out with this new Hanging Sale Label PSD Pack! 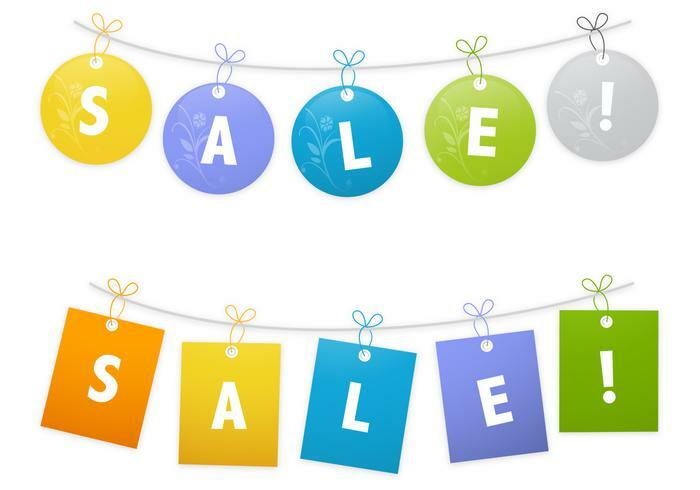 With this pack you'll receive two bright and beautiful sale label PSD banners that have a bunting style. One sale label PSD has a great subtle floral ornament that you'll love. Rather have the vector pack? Download the <a href="http://www.vecteezy.com/signs-symbols/59677-hanging-sale-label-vector-pack/premium">Hanging Sale Label Vectors</a> over on Vecteezy!